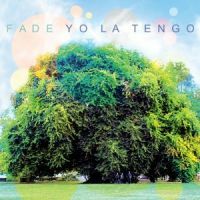 By calling their thirteenth album 'Fade', does this mean that after nearly 30 years together the Hoboken trio are acknowledging that they may be in the twilight of their career? This type of longevity isn't achieved by many bands, especially those who remain relevant throughout such a long period. That said, The Rolling Stones had been going 22 years before this lot first began jamming, although their musical relevance may be subject to debate. If we take one of Yo La Tengo's most celebrated albums, 2000's 'And Then Nothing Turned Itself Inside-Out', we find a record that featured in many end-of-decade album polls, but play it to the average punter for the first time and they're likely to pick out a couple of lively tracks as being very good and find the rest quite dull. Yo La Tengo have, on occasion, needed effort on the part of the listener to be truly appreciated. Sure, 'Let's Save Tony Orlando's House' and 'You Can Have It All' provide instant alt-rock thrills, but give yourself the time to explore further and you'll likely end up thinking there can be few better love songs than 'Our Way To Fall'. In short; YLT have never been uncool (or especially cool for that matter), they've never been much of a chart concern, but they've always been acclaimed by fans and critics alike, even though some people may find themselves scratching their heads over the fuss. 'Fade' could go some way to remedying that. You won't hear it on daytime radio, you won't hear it down your local indie disco, although in terms of accessibility and quality it's up their with their best. There are ten tracks, none of them are 17-minutes long and the tempo is kept reasonably high. Even the album's longest track, the near seven-minute 'Ohm' is a catchy, indie-rock shuffle. There is time for reflection; the string-coated 'Is That Enough' should capture a few hearts, as should the thoughtful 'I'll Be Around' and the gorgeous 'Cornelia And Jane'. In fact all the slower tracks are more easily absorbed this time, 'Two Trains' and 'The Point Of It' being cases in point. Their lo-fi, alt-rock roots are on display on 'Paddle Forward', and 'Stupid Things'. Equally though, the band seem happy to stray just a little from their normal sound on 'Well You Better' and epic closer 'Before We Run'. Far from fading into their twilight years, it sounds as though Yo La Tengo are as full of vigour they have been for some time.